Jacquie and I look forward to nothing more than we look forward to Activity Day, the day we set aside each week to do an activity, often with each other. We initiated Activity Day when we realized the one thing that’s true for all relationships. Whether you’re married or dating or just serving time in prison, it’s fun to do things as a couple. It’s important. Activity Day, like dietary fiber, binds people so that things can work out in the end. Eventually. You never forget your first Activity Day. Jacquie and I went to the Auckland War Memorial Museum for ours. 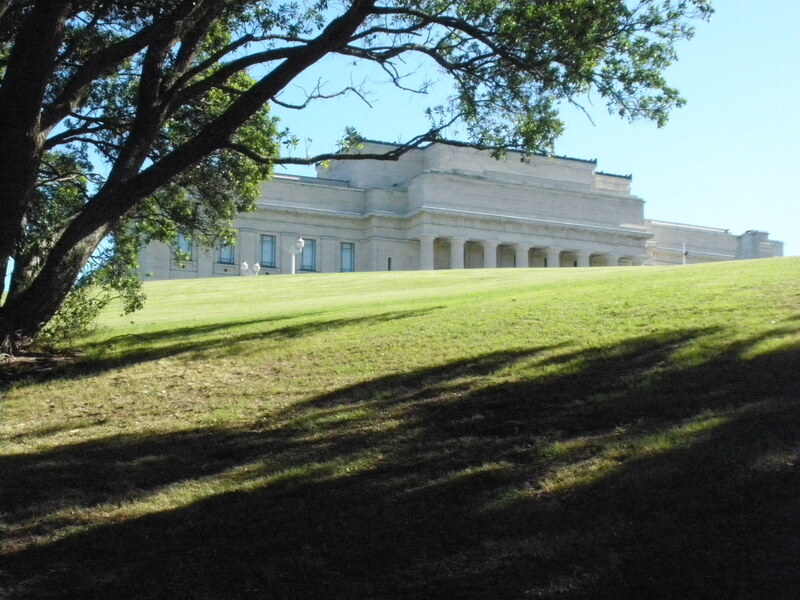 The shy and elusive Auckland War Memorial Museum. As the center-piece of the Auckland Domain, this handsome edifice rises high above a sprawling sprawl of picnic areas, rugby fields, wicket pitches and mugger hidey holes. In other words, the perfect setting for Activity Day. Auckland Museum houses permanent exhibits about New Zealand history, nature, geology and the art and cultures of the South Pacific. That’s really five museums shrink-wrapped into one manageable package if you think about it. Sure, you could spend three hours at the Metropolitan Museum of Art in New York and not even scratch the surface of its collection. But use those same three hours at the Auckland War Memorial Museum and you’ll leave with two-and-a-half hours left over to do something more interesting. I call that a bargain. So after we saw the stuffed albatross, the Fun Ho! Midgets and the gift shop, we left. From the top of the Museum steps we could see a lot of the domain and much of the harbor below. So we immediately noticed the squad of soldiers nearby conducting drills around a flag pole. They were shouting in gruff voices and moving in this direction and that. “Why do you think those military guys are marching around like that?” I said. “They have a personality disorder?” Jacquie said. After the soldiers finished we walked through the domain. We passed two old guys near a cricket pitch. We introduced ourselves and asked if they could explain to us why cricket was so boring. The taller one looked at me. The man looked annoyed. But he continued nonetheless. The men were pretty angry. They started to suspect that we were “taking the piss” out of them, as they said. The two men accepted her apology. Then we asked them their names. That’s when we found out they were both called Bob. “That is soooooo narcissistic,” Jacquie said. The two Bobs walked away. “Can you believe that?” Jacquie said. Activity Day was coming to a sad and disappointing end. As it turned out, nothing in Auckland was more exciting than looking at Fun Ho! 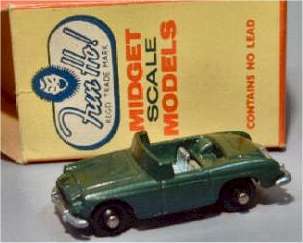 midgets. Even the dinner we made later didn’t work out as planned. We tried to saute pumpkins in butter but it came out dry. “How do you like it?” Jacquie said. Simon, if you keep writing these anti-New Zealand posts, the Government will come after you, and he’ll be pissed. Then you’ll get sent back here to Civilization. I’m pretty sure I saw you in Greenpoint last night. Cut the crap and admit that you’ve never been to New Zealand. Are Wankers the same as Douches, only without pointy collars and hair gel? They do have pointy collars, but so far, I haven’t noticed any product.